Abhaya was founded by a group of parents and teachers who had serious questions about the nature of education that is presently prevalent. The group found its inspiration in the Waldorf curriculum. The Waldorf Curriculum is a process of learning that places the growing child in the centre. Woven around insights given by Rudolf Steiner, the curriculum nurtures the natural developmental stages of the child. The first Waldorf School started in Stuttgart, Germany in the year 1919 by an Austrian philosopher Dr. Rudolf Steiner (1861-1925). There are about 1100 schools in 6 continents and 64 countries worldwide, following the Steiner or Waldorf pedagogy. The learning process integrates the arts, sciences and humanities , in an age appropriate manner, during the three major stages of child development – Early Childhood, Primary years and Adolescence to young adulthood. In Steiner Kindergarten classes, teachers focus on practical work with the hands, play and following the rhythms of the week, month and year. The arts underpin the teaching in primary school from grades 1 to 7, which help the child develop academic and social skills. In High school (grades 8-12) an understanding which is based on logical and objective thinking is taught across all subjects, enabling students develop moral capacities and become responsible contributors to their communities. Individual teachers and schools have varying degrees of autonomy in determining curriculum content, teaching methodology and governance, based on the local regulations, social/cultural environments and economic statuses of different countries. At Abhaya teachers believe and teach a curriculum that fosters learning experiences that is an integral part of the natural environment, in which they live and study. A commitment to deliver multi disciplinary learning that is underpinned by Waldorf pedagogy and the CBSE curriculum in later years, is central to the core belief of our school. Lessons in Drama, Land surveying, Farming and Crafts integrate mainstream subjects such as Languages, Trigonometry, Geography, Natural and Physical sciences, holistically and allow students to connect with real life situations, in a dynamic and responsible way. They are also taught science, math, art, craft and the humanities in an age appropriate manner, enabling a natural curiosity about the world in which they live. Abhaya has some well constructed learning spaces in a beautiful three acre campus surrounded by rice fields, green house gardens and residential villas and apartments. In the open expanse of Kompally, our school building stands facing the east and is built in such a way that all rooms get ample sunlight. The windows of all the rooms of our two storied building bring in the south west and north east winds. The school has a lovely courtyard all along the building with a lotus pond and a wooden bridge. It has the Kindergartens and class 1 to 5 on the ground floor along with the two language rooms. The older classes, laboratories, library and the auditorium (for music practice) are on the upper floor. It has a large covered playground space which has a basketball court and additional spaces for various school activities such as festivals and whole school meetings. The school kitchen, dining hall, office, guest houses are in the adjacent building. Guests, visitors and teachers who may wish to spend weekends on working holidays in serene and sylvan surroundings, also have access to compact kitchen and pantry which are equipped with refrigerators, toasters, ovens, electric kettles etc. Abhaya, as the name suggests is about freedom from fear. Fear about an increasingly questionable education system, fear about the choices we make in the interest of our children. It is for all among us who understand that excellence has more to do with self-motivation than killer instinct; intelligence has more to do with the harmonious working of the hands, heart and head than learning by rote. Abhaya aims to educate children towards freedom, through creativity. The Waldorf or Steiner curriculum, on which the school’s pedagogy is based, is age appropriate and comprehensive in its understanding of the child development, from early years to a young adult. The focus is to create a non-competitive environment where children learn with joy, not under the psychological pressure of having to prove that they have “learnt”. Children learn as easily as birds fly, naturally competing with themselves during their formative years. Early childhood stage (3 to 6 years) is crucial for the child to develop its physicality. Fine internal organ growth as well as neurological processes that have to be established need this period for ripening. Any formal learning during this stage of development is bound to deplete the energies of the child from ‘body building’ (building health). Middle childhood (7 to 13 years) - The second Phase of childhood sees a physical and psychological shift in the child’s growth. The organs of the body are formed – the last symptom of which is the fall of milk teeth and the beginning of the second dentition. At this stage the child has a psychological yearning to look up to adults and learn from them. This is met by the ‘class teacher years’ a practice where the class is accompanied by a particular teacher for a period of 7-8 years. Our High School (14 to 16 years) has the high school has the CBSE syllabus and the follows the text books recommended by the NCERT board, the teachers use the challenge to incorporate the latest teaching techniques into their subject teaching. Importance is given to art, dramatics, sport, craft and projects, as they are an integral part of high school curriculum. All parents who have registered for enrollment of their children will be called for orientation which are conducted on the third Saturday of November, December and January, every year. After the orientation parents who wish to enroll their children in the school will have to submit a hard copy of the registration form, which should be downloaded, printed, filled in, signed and submitted in person to the office. The office will process the application and then ask you to personally visit the school to fill in an Admission form and pay the tuition fees. Abhaya was founded by a group of parents and teachers who had serious questions about the nature of education that is presently prevalent. The group found its inspiration in the Waldorf curriculum. Their hope and inspiration was to help children grow into free, strong and integrated individuals. From a small school with 7 children in one Kindergarten class and a single teacher in the city, it has now grown into a large school with 35 teachers and 300 children from Kindergarten to class 10, in a 3 acre campus in the suburbs of Hyderabad. The Abhayan community is a vibrant and eclectic group of parents, teachers and friends, who have come together to make the fabric of the school shine with the rainbow colors. The school parents come from diverse religious, economic and professional backgrounds with a common vision to support their children's education, in a liberal and multi dimensional educational environment. 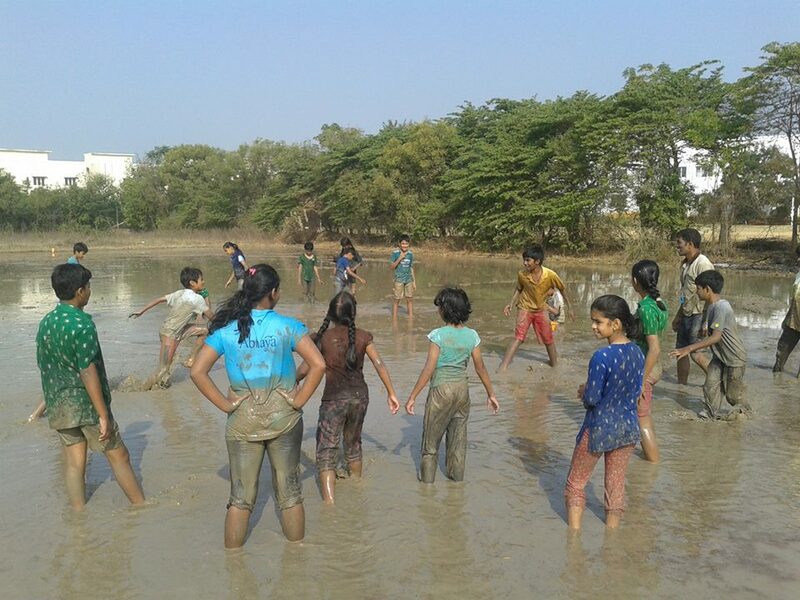 The Olympics has returned to Abhaya with the Class 5s’ of many Waldorf Schools across the country participating from 2-3rd Feb 2018. It be will as usual a colourful and fun filled event with athletic competitions among the students. 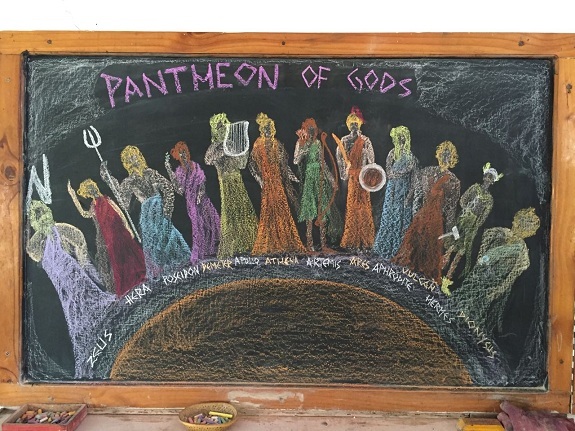 Parents are welcome to attend and watch their children compete in a healthy environment, recreating the spirit of the ancient Greek event, in a modern setting. The parent group in Abhaya meet regularly every month and have a study circle being conducted by some of the the teachers in the school. This helps in bringing about a general awareness about Steiner Education in the community. Some of the programs are conducted on the 2nd or 4th Saturday's of every month when the school has a holiday. Abhaya Teachers attend professional development programs across the world and in India, on a regular basis. They have attended the World Teachers Conference in Dornach, Switzerland, Asia Pacific Teacher's Conference and many other training programs, conducted in India. This enables them to stay in touch with the latest pedagogic aspects of Waldorf Education on a continuous basis. In school training is also a part of the professional development program, at Abhaya. A collection of photos of the school across the years encapsulates the history of the school in educating children from early childhood to adolescence. The photographs are a colourful ensemble of emotions, memories and experiences of the children and adults in a free and enquiring environment in the modern world. It is an established fact that the myelination of the brain is a prerequisite for any work demanding intellectual participation. This is activated by natural movements of the child during the early phase of growth. The more we allow for such movements in growing children, through play and informal ways of socializing and learning, the more contributive we are towards establishing fine neurological processes. 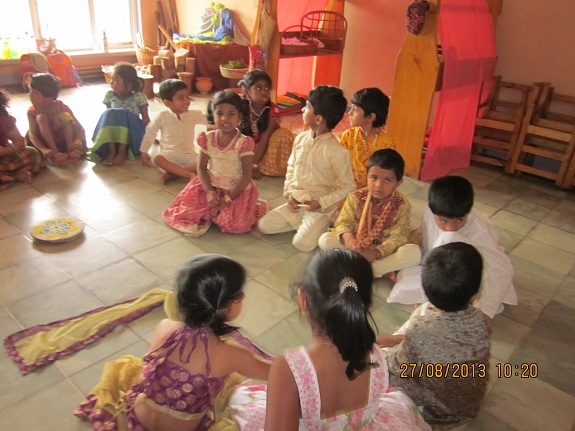 The Abhaya kindergarten acts as a bridge between a child’s life at home and his later years in the grade school. If you visit our kindergarten, you will notice that it looks a little different from other traditional kindergartens you’ve seen. The toys in the classroom are simple and made from natural materials – knitted or hand-sewn dolls, wooden blocks and planks, long play cloths made of cotton or silk, a set of copper or ceramic cups and bowls. Nothing, in fact, that would look out of place in a traditional household. There are no worksheets, posters, or calendars hanging on the walls - No books, no computers. Our kindergarten is designed to respond to the developmental needs of two age groups - The 3 to 5 year old children (nursery group) and the 5 to 6 year old children ( kindergarten group). Just as the early childhood phase is committed to the building of the physical body, the middle childhood phase is committed to the emotional development of the child. Hence all subjects are taught in a way that appeals to their feeling life. Art has a direct impact on our feelings – Subjects during this period are introduced in a manner that enriches their feelings, thus awakening creative thinking in the growing child. These are taught using Rhythm, Movement, Concentration exercises, Speech verses, Music, Drawing and Painting. At the end of the class teacher years the students are handed over to the high school teachers – Specialists in their subjects, who then gradually help the transition towards preparation for the board exams of the CBSE. At Abhaya we distinguish between parroting a ‘thought’ and ‘thinking’ actively. The earliest form of thinking in the child is its capacity for ‘imagination’. Imagination is allowed to flower in the young child. As they turn into adolescents the movement towards critical thinking develops. Our endeavor is to support the students to grow into clear- thinking, sensitive, initiative filled adults. Our High School is based on the CBSE syllabus and follow the text books recommended by the NCERT board. The teachers incorporate the latest teaching techniques and integrate a multi disciplinary modality into their teaching. Emphasis is placed on teaching math, science, art, drama, music and craft in a holistic manner. Our laboratory has excellent facilities for student demonstrations and for practical work. We encourage a lot of field work and outdoor project assignment work which gives students a practical understanding of various subjects. The library has excellent resource material for the high school students. Abhaya high school students have excelled in various disciplines and have been awarded many prizes in science exhibitions, art festivals and on the sporting field, across the years. One of the recent prestigious awards was a second prize with a cheque for 300,000 INR, received by the students at the Teenovators contest conducted by Manipal University. Students from Abhaya school from the city won the second prize for their project V-Watch, at Teenovators-2016 held by Manipal University in association with INK at Bengaluru on Monday. V-Watch is a wearable device that seeks to help retailers by scanning barcode and adding to the bill. I was charmed into my time at Abhaya school when it was first established by the bougainvillea creeper and the badaam tree on the grounds. Over time I came to love this space – the location of much of my primary schooling and a site of learning and experience. In hindsight, this is where I first encountered new ways of learning that I remember fondly through house building, practicing for the Greek Olympics, preparing our own eco-friendly Holi colours and learning about places, both near and far. As I transitioned into High School this place also came to signify strong and trusting relationships with both my classmates and my teachers. It also made me stick my guns to what I believed in and made me an independent (if not sometimes stubborn) thinker! One of the most satisfying memories of school is the effort and the time I put into all of the different areas of learning, as I think of them now (back then they were all just part of school) such as knitting, math, languages, carpentry, painting, physics, surveying, astronomy, biology, chemistry and so on and so forth. I like to think that I tried my hand at a lot of things before I decided what I enjoy and what I don’t. I visited this beautiful country of India for the first time spending six weeks in Abhaya Waldorf School and ten days helping to establish a Eurythmy Training. I have enjoyed myself very much here. Such a friendly warm hearted community where Steiner Waldorf education is practiced to a very high standard. Dedicated teachers, happy children, good facilities in a country setting away from the main city of Hyderabad. I taught Eurythmy, Form Drawing and Music and also helped some student teachers with curriculum studies. Thank you Abhaya for the wonderful time I spent here, I hope to see you all again in the future! Abhaya is an essential aspect of my life and who I am as a person. It’s been a space where I have learnt invaluable lessons, developed a curious and open mind, explored myself and challenged my inhibitions. The school has always been home to me, a place full of liveliness, warmth and unconditional support. In Abhaya teachers see the spirit of each child and their individuality . My child has fun learning because the curriculum is age appropriate. There is a unique emphasis in finding strength within oneself to accomplish the day’s work and my child feels connected through a valuable nurturing community and a level of love and care which is empathetic .The excellent curriculum the handwork, music , language is wonderful .The values imparted to the children help them to live fulfilling lives. But there is still room for improvement where discipline and good manners are concerned. Abhaya’s team of drivers transport a substantial number of the school’s students from various corners of Hyderabad. Their safety record is excellent and their ‘duty of care’ is of a high standard, with the students and staff commuting every school day in their buses. Abhaya’s cleaning staff are a happy bunch of workers who seem to make light of all the tasks allotted to them . They keep the classrooms and other common areas spick and span everyday, before the teachers and students arrive. The Kitchen staff prepare over 300 lunches everyday for the students and teachers. They cook nutritious and hygienic meals for the entire school and work on school holidays to clean and maintain stocks of all the ingredients as well as re-order levels of daily rations. Sheeba was born and brought up in Bangalore. After her Masters in Microbiology, she got an opportunity to work as a Lecturer. It was a wonderful Journey of 5yrs until she realised the joy to be found in working with young children. 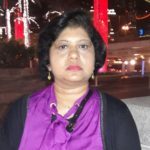 She was deeply inspired by Abhaya’s curriculum and concepts which is designed meticulously to nurture a child’s imagination and encourage creativity and a sense of purpose in life. She completed her Masters in Science and Bachelors in Education in 2005 and has been working as a primary teacher in Abhaya since then. She loves cooking and listening to music in her spare time and brings these qualities into her main lesson teaching on a regular basis. Padma is one of the kindergarten teachers at Abhaya – she has been associated with Steiner education for the past ten years . She is passionate about Steiner education and is enjoying watching the children progress through the school. Along with teaching ,she enjoys art and poetry. Srini Donepudi is an ‘ITpreneur’ par excellence, who has a passion for teaching. He was a parent in Abhaya before involving himself with the administrative and financials of the school. He has been instrumental in Abhaya’s growth from a school with 20 students in a 1000 square yard rented premises, to one with over 300 students in a 4 acre campus. Our school doctor, Swapna has been associated with the school right from the beginning. She is an Anthroposophic Physician and Homeopath. She deals with children’s illness including Autism, ADHD and Epilepsy. She is an ardent believer in Waldorf Education and helps teachers, children and parents at school. Sushma joined Abhaya recently as a Science teacher for the high school. She has been a university topper and a gold medalist in her M.Sc. with Organic Chemistry. Her love for her subject and children has drawn her to Abhaya. She feels learning is an ongoing process where each day brings new challenges. She looks at different ways to make her classes more engaging and believes inspiration can come from anywhere. 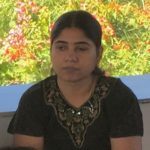 Sujatha is our grade teacher who has recently joined Abhaya. She was inspired to join Abhaya because of the school’s humanistic approach to education and an emphasis on developing a curriculum based on understanding human development. Sujatha is originally from Mumbai and was working there as a Waldorf teacher until very recently when she shifted base to Hyderabad. She enjoys working with children and cycling to school. Deepika worked in college administration before coming to Abhaya. She has done her B.Tech and is helping Abhaya office administration. Deepika is a cheerful person and always greets with a smile. A recent entry to our high school as Hindi teacher Dr Gupta came to Hyderabad 20 years ago from Banaras. He has done his H.P.T. (Hindi Pandit Training) and P.H.D. in Hindi with journalism and has 20 years of experience in various schools. He is a very gentle and effable person who has brought a new energy into the team. My experience at Abhaya was wonderful. I’ve learnt a lot and I couldn’t have learnt that anywhere else. Smita Patwardhan was born and brought in Raipur and after marriage settled in Hyderabad. 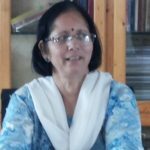 She is very passionate about teaching an joined Abhaya in 2007 as a Hindi grade school teacher. She has an Education background (M.com, M.A.,M.Ph, B.ed). She is inspired by the Steiner Philosophy and it has changed outlook towards life in general. Apart from teaching she is interested in Dance, Poetry, Translation, and voice over advertising jingles. As a postgraduate in Statistics from University of Delhi, I joined Abhaya School in January 2018 to work in an environment which would help me interact with the young and inquisitive minds and to put forth my best efforts to develop individuals who would be capable of making a mark in their lives. Divya is our day care and part time nursery teacher. She is an empathetic individual alawys ready to substitute in the Nursery in case of emergencies. She loves the school environment and feels absolutely at home in Abhaya. She completed her MA in Telugu and is passionate about teaching Telugu to small children. She is also interested in rangoli painting and drawing. She loves the teaching environment in Abhaya and appreciates the freedom the school allows her in developing creative teaching methodologies for the children. Savita joined Abhaya 12 years ago after having worked in the corporate world. She has a calm , collected and focused personality and has always connected deeply with children. Having completed her first cycle from class 1 to 7 , Savita is now in grade 5 with her second batch of 24 children. She is a natural with numbers and helps in making the school time table . She has taken up many roles of responsibility beyond her class. Gopa is very passionate and has strong conviction about the course of education in India . She has worked for the past two and a half decades supporting and teaching in a way she feels best fulfils the growth of the child. She feels that Abhaya has helped her self growth. She is the class teacher for class eight and will be completing her cycle this academic year. Having done her masters in history ,she is now into research and working to bring in changes into the middle school history curriculum. Sirisha is a kindergarten teacher at Abhaya . She found Abhaya to be a place where ,” A child is allowed to be a child” . This is what drew her to be a part of this school. She enjoys being a part of the kindergarten team who are working on building a good Indian Waldorf kindergarten. Sirisha is a lively , intuitive , expressive and approachable person who is open to learning . She had lived in UK for 10 years before moving back to India . Sudha is the present grade 3 teacher , who has been in Abhaya for the past two years . She found Abhaya different from the mainstream schools . She finds this to be a place where the natural abilities of a child are sharpened in a holistic and natural way. Sudha is blessed with a lot of patience and is an intuitive teacher . She has been a kindergarten teacher in Abu Dhabi before coming to Abhaya. Ramu karanam is our physical director who comes from a farming background . He was drawn to Abhaya for the space it provided to give a holistic development to the children. He likes the freedom which comes with responsibility at Abhaya. Ramu is a friendly ,straight forward , sensitive and understanding person who has the capacity to inspire and enthuse children . Tanuja is the present grade 6 teacher . She has been associated with Abhaya for 13 years now . She feels her driving force is the team at school and draws a lot of strength from it . She is a cheerful, helpful and hard working person who feels motivated to teach in such an open environment where education can be healthy. Tanuja has been a kindergarten teacher for many years before stepping into the grades . Kapil has been with Abhaya for a year and a half . He is the grade 4 teacher at the moment . His search for schools for his children brought Kapil to hyderabad from Delhi . 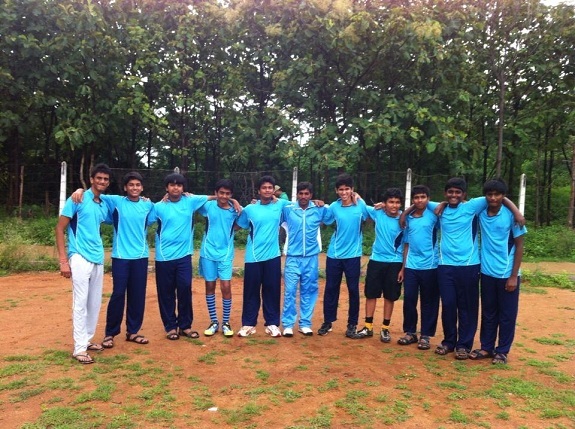 He connected to the commitment of the team at Abhaya and didn’t take long to build a bond with his class . Kapil’s sincerity and honesty helps him connect to his children. Kapil is an enthusiastic, hard working and open minded person who has been a yoga teacher and worked in the field of health for the past eight years . He has been in the field of marketing for many years before discovering his passion for teaching . Jayesh is a part time teacher ,organiser of outdoor education and landscape education at Abhaya . He has a management diploma in international trade and an engineer by profession , he has been a former parent and one of the initiators of Abhaya school. He believes this to be a place where children are allowed to learn in freedom. 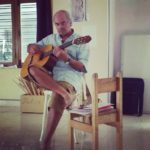 His passion for Waldorf education is the driving force behind the various projects he takes up to help the high school in particular. Shiva is the high school Telugu. (Language ) teacher . He feels he can do justice to teaching his subject only in this school , as he feels very supported by the school. Shiva has an MA in Telugu language and has 13 years of teaching experience. He has great love and flair for Telugu language and ” drama ” is his forte . His openness and positivity makes him a very approachable person both to students as well as his colleagues. Sowjanya took up teaching high school sciences as she was attracted by the the philosophy and the working atmosphere at Abhaya . Her passion for her subjects and openness to learning reaches out to her students . Sowjanya has done her Msc in bio chemistry and enjoys sharing and exploring in the field of chemistry and biology. She has a cheerful and approachable disposition and shares a good rapport with her students . Shwetha is our Kindergarten teacher. She made her connection with Abhaya as a parent and got so deeply inspired by the methodology and philosophy that she then took training to be a kindergarten teacher. Shwetha is a very kind, gentle and instinctive person who has a good understanding of the age group she works with. All her prior experience has been in corporate sector in UK. She has an inner rest and strength which she contributes to build the same with her team. Shailaja is taking her fourth cycle at Abhaya and is the present grade 2 teacher . She has been associated with Abhaya for the past 15 years . She feels very motivated by the energies and the space given to the teachers to grow at Abhaya. She also believes she draws her strength from the team. Shailaja is a very down to earth , approachable person who is very passionate about teaching and children . She wears many hats at Abhaya . She is a teacher trainer, mentor , principal and volunteer programme coordinator to name a few. Our Grade One teacher, Sushmita was drawn to Abhaya as a place where each child is nurtured and looked at as a complete human being. She is a sensitive and emotional person who is very comfortable with herself. A commerce graduate, she hails from Orissa and most of her teaching experience has been in conventional schools. She is an open person who is eager to learn. She has the courage to try new things and has the attitude to turn her shortcomings into her strengths. A high school science and math teacher is a M.Sc. and M.Ed. He has six years work experience in main stream schools and has worked with various curriculums before joining Abhaya. The freedom to express and work is what drew him here. He sees school as a place where learning is an ongoing process. He calls himself a “Pragmatist”. He is hardworking, sincere person who takes his work seriously. Bhakti takes handwork for the lower grades. She joined Abhaya two years ago and enjoys working with children. She is a very intuitive, approachable and patient person who likes to explore different ways of teaching. She has always been very passionate towards handwork and this comes through in her work. Our high school English and Social Science teacher, she also looks after our Library. She loves being part of Abhaya and especially enjoys the freedom to teach. She likes the holistic approach to education and the respect and open-mindedness her colleagues share. Mona, born and bought-up in Bangalore comes from an Air force background. She has travelled a lot and she enjoys challenges that every situation brings. She is curious, hardworking and honest person who looks at every situation as a new learning. Kalyani teaches Hindi in the High school. She is a strong individual who shows great passion for her subject. This passion and exuberance comes across in her teaching. She was drawn to Abhaya as it presented the freedom to work and grow as a teacher. She has a flair for languages and speaks Marathi, Sanskrit, Gujarati and English besides Hindi. She is equally passionate about cooking and has struck a fine balance between both her passions. She takes keen interest in organizing food related work at school during festivals and Mela. Mridula takes handwork in upper grades. Abhaya was referred to her by a friend; she came to help out for 6 months and has stayed on ever since. She enjoys working with children. She sees Abhaya as a place which lets her take handwork beyond just a hobby. With a Masters degree in Social work, Mridula comes from a joint family background with 18 members in her family, she has always been surrounded by people who worked with their hands. 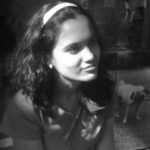 Mridula is a very patient, creative, kind and helpful person who is always exploring new ways of teaching children and believes learning is an ongoing process. Hemangi is our Art teacher. Having graduated from Sir J. J. School of Art – Mumbai, she worked in diverse areas as an artist and curator. She has worked with a variety of mediums like painting, sculpture, ceramic, pottery, woodwork and handwork. She has been associated with Tridha in Mumbai for many years and has pioneered in setting the Art and Craft curriculum in Indian Waldorf schools. She affirms that Abhaya offers a supportive environment and space with strong collegial support that allows her to work and explore in multidisciplinary areas at school. She carries many impressions from her extensive travels and is involved in teacher training, event planning, time-tabling and study in parent group at school. She is also involved in other administrative processes and documentation work at school.